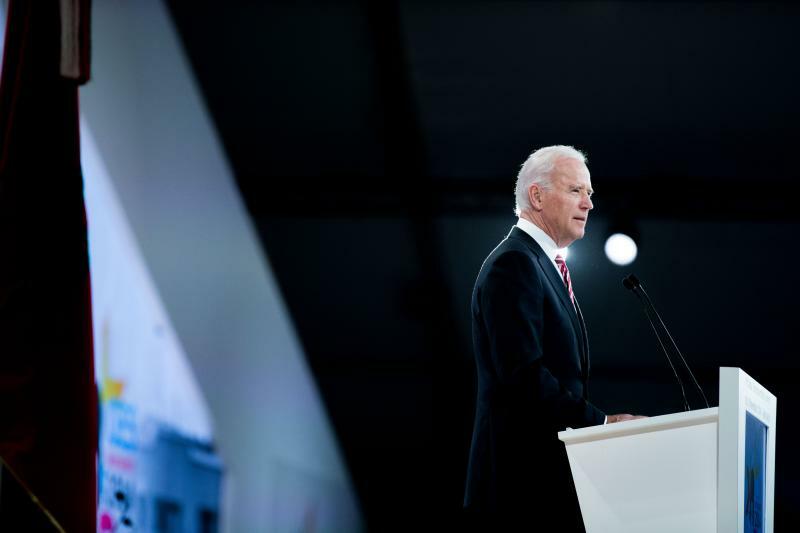 Vice President Joe Biden delivers the keynote address at GES 2014. Photo credit: GES 2014. The first stop on the Vice President and Dr. Biden’s three-country trip was Morocco. The Vice President and Dr. Biden’s visit started on a sweet note, as they were greeted at the airport with dates and milk, a traditional Moroccan welcome. Morocco has a special place in the history and hearts of Americans because it was the first nation in the world to recognize the United States nearly 237 years ago. The Vice President’s visit, the first by a sitting U.S. Vice President in decades, marked the latest chapter in a long and storied friendship. – Morocco’s important role as a gateway for trade and investment in sub-Saharan Africa.